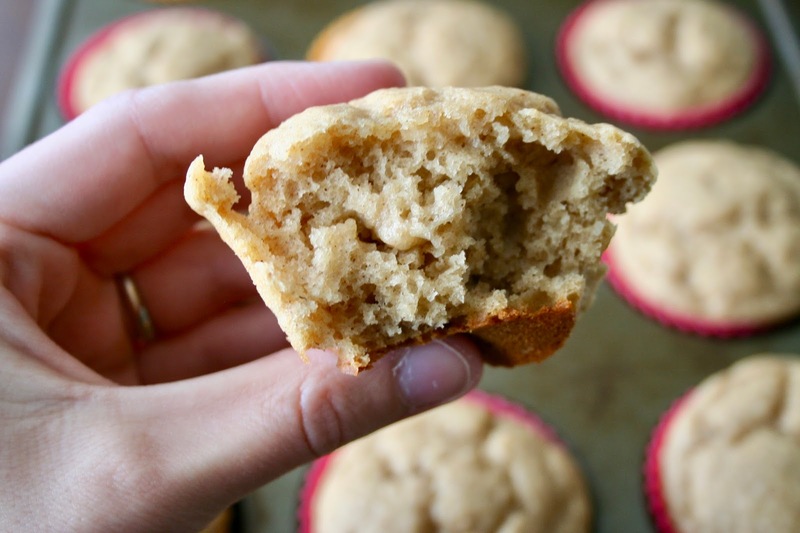 I am a homemade muffin fiend and it's the one thing I can sneak healthy ingredients into that my kids will always eat. Unless they can see those said healthy ingredients and then it's game over. Anyway, these were a total favorite in our house and they are the softest, fluffiest, tastiest muffins ever. We were big fans. I was so impressed with the texture of these and how they turned out. They were especially good warm and eaten within the first couple of days, but I don't know how they would last much longer than that. I mean, how could you not devour these?? 1. 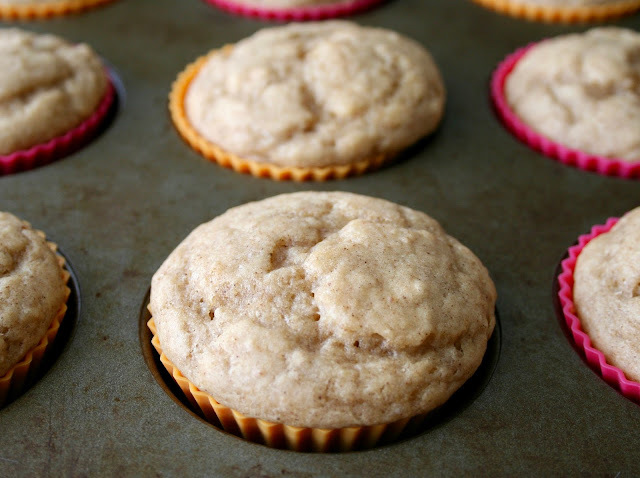 Preheat the oven to 350 degrees F. Spray cavities of a muffin tin and lightly flour or use silicone liners. 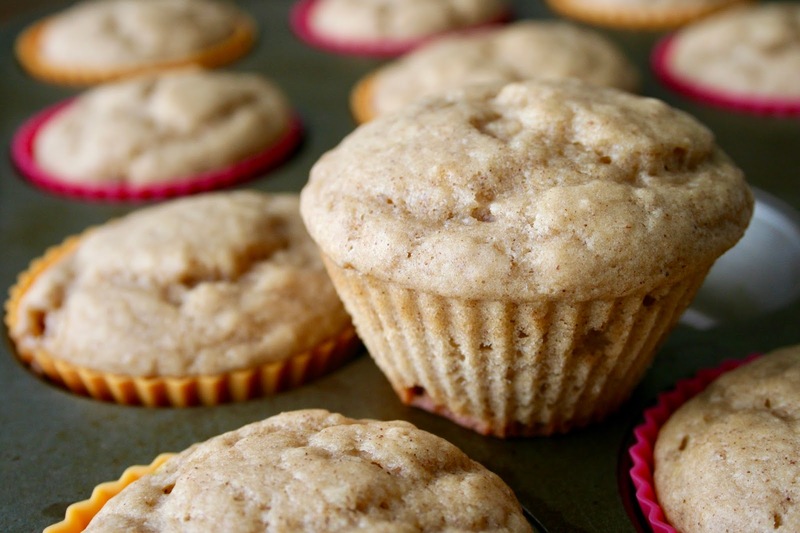 (These muffins will stick to paper liners.) Set aside. 2. In a large bowl, add in the flour, cornstarch, baking soda, salt, nutmeg and cinnamon. Mix until combined. 3. In another bowl, mix together the applesauce, large egg, Greek yogurt, canola oil, vanilla extract and brown sugar. Mix until well combined. 4. Mix the wet and dry ingredients until JUST combined. Fill muffin cups 3/4 full. 5. Bake for 18-20 minutes or until an inserted toothpick comes out clean. 6. Remove and allow to cool for 5 minutes before removing the muffins from the tin. *Store leftover muffins in an airtight container in the fridge. Let come to room temperature before eating. Muffins best enjoyed within 3 days.